Hey friends! This is my FIFTH year doing a list of Great STEM Christmas Toys for Kids! Can you believe it? In case you missed them, here's the previous years' lists! Be aware I use Amazon referral links so I get a little kickback (and you support this blog!) when you use these links. I'll be using the pocket money to...wait for it...buy STEM toys for kids! So thanks in advance! I've always liked littleBits but when they first came out I thought they were expensive and didn't include enough stuff. Fast forward and littleBits have dropped in price and built a whole ecosystem of littleBits that work together. This year the most fun is the littleBits Marvel Avengers Inventor Kit. At the time of this writing, this kit is 33% off at Amazon. You can built your own Iron Man (or Ironheart!) 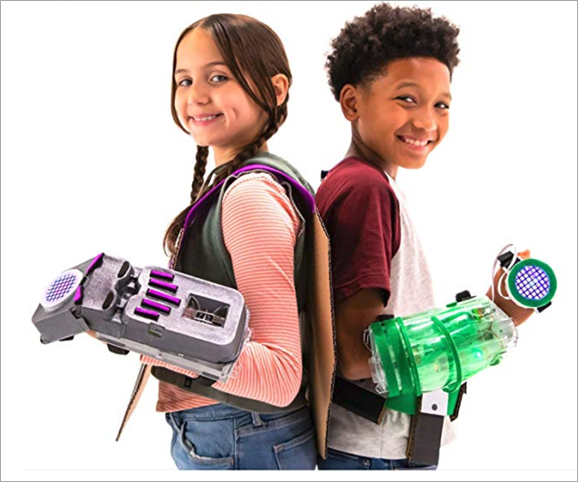 gauntlet and load it up with littleBits that can do whatever you'd like. One particularly cool thing included is an LED Matrix that you can address directly by writing code with the iOS or Android app. UbTech has a whole series of Technics-style Robot kits. 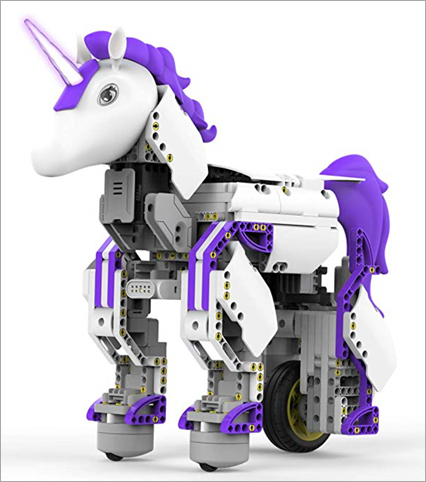 There's the usual tanks and cars, but there's also some more creative and "out there" ones like this 400-piece Unicorn Robot. It includes color sensors, server motors, a DC motor, and a light up horn. It's also codeable/controllable via an iOS or Android app. Very cool! I'd really like their Lynx Alexa controllable walking robot but it's way out of my price range. Still fun to check out though! 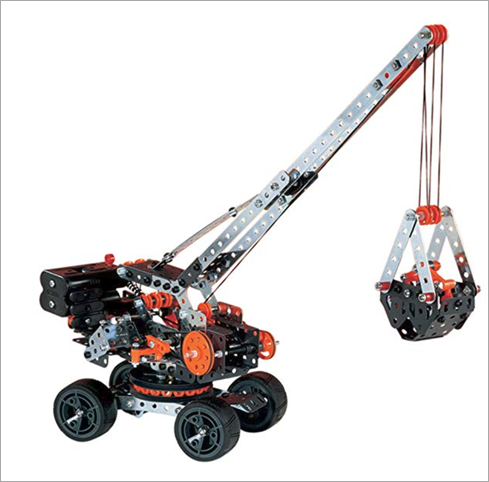 We've found these Erector by Meccano Kits to be inexpensive and well-built. The 25-in-1 kit is great and includes a container and over 600 pieces. I like these metal kits because they feel like the ones I had in my childhood. Kids learn how to use motors, pulleys, and other explore functional motion. Both of these great books from National Geographic are spending a lot of time in my kids' hands. 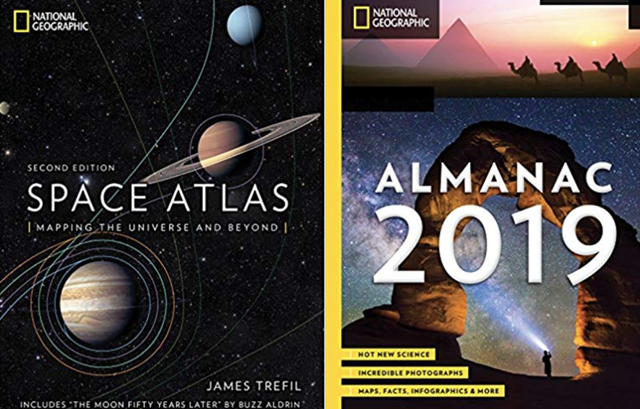 The National Geographic Almanac 2019 is amazing every year. It's an annual with facts, photos, and infographics that have my kids saying "did you know?" on long car drives constantly. That's a good thing. We are also enjoying the hardcover Space Atlas with maps of the whole solar system. 350+ pages of space, charts, maps, photos, it's both deep for adults and accessible for kids. I recommend both of these books and have them on my coffee table now. 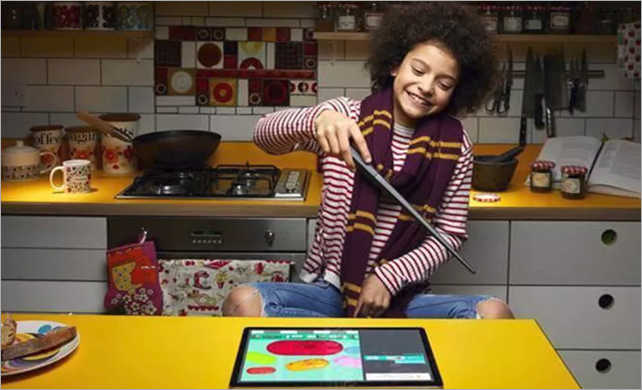 The Osmo Genius is quite clever and based on one deceptively simple idea - what if the iPad camera faced downward and could see the table in front of the child? It came with a base and a reflector that directs the front-facing camera downwards. Then the educational games are written to see what's happening on the table and provide near-instant feedback. You can start with the base kit and later optionally add kits and games. I like classic toys and while toys with bluetooth and fancy features are cool, I want to balance it out with the classics that let you explore the physical world. These also tend to be more affordable as well. 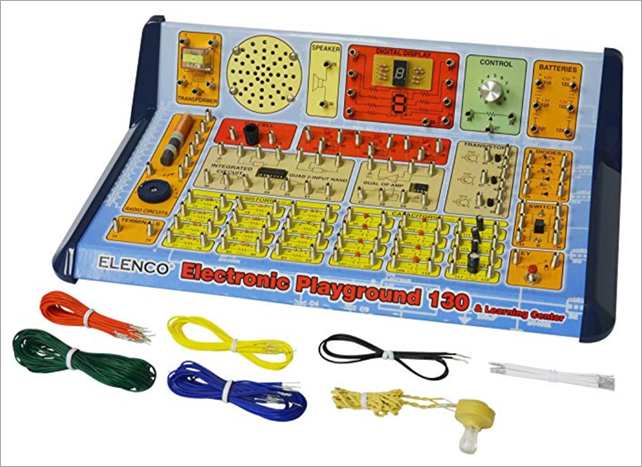 I really like this classic electronic trainer with 130 experiments like an AM broadcast station, Electronic Organ, LED strobe light, Timer, Logic Circuits and much, much more. The 50-in-One version is just $16! Frankly all the Elenco products are fantastic. I had this on the list last year but my kids still love it. We have the 2016 kit and it's been updated for 2018. The Piper is a little spendy at first glance, but it's EXTREMELY complete and very thoughtfully created. Sure, you can just get a Raspberry Pi and hack on it - but the Piper is not just a Pi. 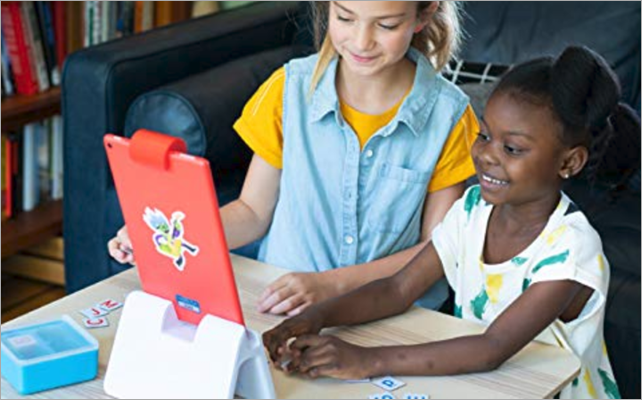 It's a complete kit where your little one builds their own wooden "laptop" box (more of a luggable), and then starting with just a single button, builds up the computer. The Minecraft content isn't just vanilla Microsoft. It's custom episodic content! Custom voice overs, episodes, and challenges. What's genius about Piper, though, is how the software world interacts with the hardware. For example, at one point you're looking for treasure on a Minecraft beach. 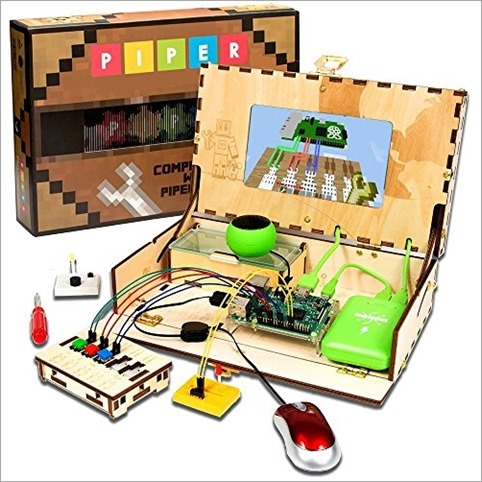 The Piper suggests you need a treasure detector, so you learn about wiring and LEDs and wire up a treasure detector LED while it's running. Then you run your Minecraft person around while the LED blinks faster to detect treasure. It's absolute genius. Definitely a favorite in our house for the 8-12 year old set. FYI: These Amazon links are referral links. When you use them I get a tiny percentage. It adds up to taco money for me and the kids! I appreciate you - and you appreciate me- when you use these links to buy stuff. Sponsor: Let top companies apply to you. Create a free profile on Hired and unlock the ability to let companies apply to you, not the other way around. Create a free profile. Great stuff as always! I recently stumbled across Turing Tumble, it looks like a nice addition to your list. I may have to choose between the Piper and the Kano wand. I have three kids - 11, 9, and 5 - all of which love Harry Potter and Minecraft. The oldest is also very into programming things but the other two are not as much. Do you recommend one over the other? Dave - I'd say the Piper. It's a lot more flexible and they are adding new episodes, plus it's a Pi so you can do your own projects as well! Is the Piper upgrade mainly software? I've got the 2016 edition as well, as of yet unopened until my daughter's upcoming eighth birthday, but want to make sure she gets the full experience when she gets it. I believe it's the addition of the Raspberry Pi 3, so perhaps just swap them out with the latest Pi when it's the time? We can ask them online. I've crowdfunded a lot of computing toys and mostly been disappointed with them. But I finally got a hit with the Turing Tumble. It's wonderful! I would take this more seriously if you weren't also trying to make money off of others by having referral links. It comes across as Microsoft not paying you enough and you needing to scrape pennies from people during the holiday season. I'm trying to decide between the Kano HP Wand or the Littlebits Avengers Gauntlet for an 8 year old. She is new to coding but loves all things techie. What's your suggestion? David - Why do referral links bother you? It doesn't cost you anything. Takes literally nothing from you. The blog is my own, and has been for nearly 20 years. I don't blog for Microsoft. I wrote this post last at night on my own time and referral links and ads pay for both my time and for the hosting.